Fresh from its unveiling at the Detroit Auto Show and here at Barrett-Jackson earlier this week, the much-anticipated 2020 Toyota Supra also hit the auction block on Saturday, accompanied by Medal of Honor recipient Dakota Meyer. With the entire crowd in the auction arena on its feet, the incredible sale provided yet another amazing Barrett-Jackson moment when noted philanthropists Jeanette and John Staluppi bid an incredible $2.1 million for the rights to the first production Supra, VIN 20201. The entire hammer price will benefit both the American Heart Association and the Bob Woodruff Foundation. Barrett-Jackson, The World’s Greatest Collector Car Auctions, was a star-studded event, featuring celebrity, record attendance, record auction sales and the largest number of registered bidders for any Palm Beach auction. 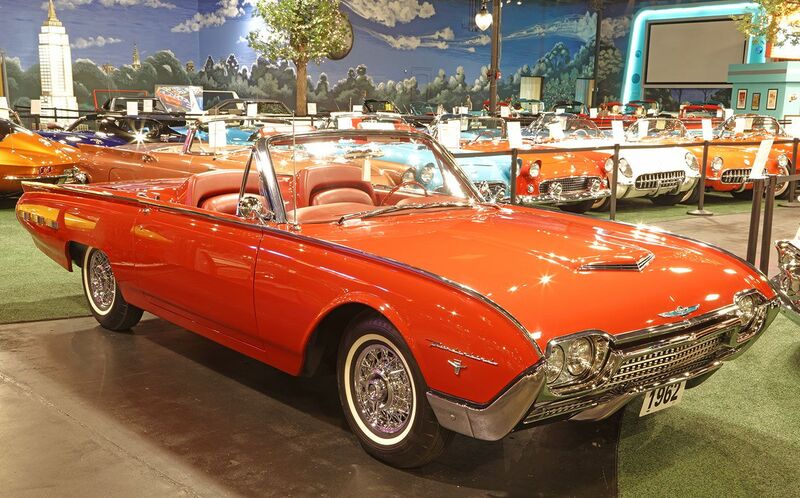 Three impressive collections were sold at the 16th annual auction, highlighted by renowned collector and philanthropist John Staluppi’s highly coveted Cars of Dreams vehicles, which all sold at No Reserve. Celebrities who flocked to the four-day auction included Jimmy De Martini, fiddler with the Zac Brown Band, as well as Hollywood icon Burt Reynolds, who greeted fans, signed autographs and encouraged bidding on the block for three Pontiac Trans Ams. Other celebrity guests included actor Alfie Wise, North Carolina Panthers head coach Ron Rivera, NASCAR legend Rick Hendrick and former NFL wide receiver Reggie Wayne. In total, 692 vehicles sold, nearly all at No Reserve, for more than $38.3 million, while 380 pieces of automobilia brought in over $702,000, and $450,000 was raised through the sale of charity vehicles, bringing the total auction sales to more than $39.4 million. This year’s auction also attracted more than 700 new bidders, a new record for Palm Beach. In addition, there was an impressive showing from the international community, including vehicle consignments from Brazil and Italy. At the beginning of the week, Barrett- Jackson kicked off its 16th Annual Palm Beach Auction with a special parade featuring vehicles from John Staluppi’s Cars of Dreams Collection. During the four-day auction, 145 vehicles from the collection sold for $13.96 million. Automobilia sales during this year’s event were among the best recorded to date in Palm Beach, with restored gas pumps and porcelain neon signs among the most sought-after pieces. 40_preview_720p_small from thrillmonkey on Vimeo. For the second time, famed automobile collector John Staluppi is selling most of his automobile collection so he can start all over again. Among all collectors of rare objects, whether they collect vintage wines, hand-crafted watches or fine crystals, the common characteristic is unwavering passion. Philanthropist and entrepreneur John Staluppi, owner of one of the most admired and notable classic car collections in the United States, is no exception. Staluppi’s Cars of Dreams Collection will be a featured auction item of Barrett-Jackson, the leader in collector car and automotive events, at the 16th Annual Palm Beach Auction, April 12–15 at the South Florida Fairgrounds. Staluppi’s collection features approximately 140 classic American cars — predominantly convertibles — from the ’50s, ’60s and ’70s. This collection is recognized for the quality of the cars and for the meticulous care each of these beauties has received. So why exactly is Staluppi putting them up for auction? Dolce put the question to him in a recent interview. This might sound like a surprising philosophy, but Staluppi can’t be wrong. After all, from his start as a gas station mechanic in Brooklyn, New York, he has built a billion-dollar automotive dealership empire that employs more than 3,000 people. Staluppi has been a car collector for decades. A few of the crown jewels in the Cars of Dreams Collection are a ’58 Dual Ghia Convertible; a ’69 Chevrolet Camero RS/SS Indy Pace Car; a ’65 Chevrolet Corvette Stingray Convertible; and a ’63 Volkswagen Beetle, one of the cars used in several of the iconic Herbie the Love Bug films by Walt Disney. GM and Chevrolet offered two first retail production Corvette models for auction at Barrett-Jackson today raising a total of $2.325 million to benefit military veterans. First up on the auction block was the Corvette Carbon 65 Edition coupe signed by President George W. Bush was bought by John Staluppi, owner of Atlantic Automotive Group, for $1.4 million. The proceeds will benefit the Bush Center’s Military Service Initiative. The primary goal of the Military Service Initiative is to ensure post-9/11 veterans and their families make successful transitions to civilian life with a focus on gaining meaningful employment and overcoming the invisible wounds of war. "Five charity cars raised the roof as they sold for a total of $515,000 (with an additional $10,000 donation by Michelle Mauzy and family), bringing Barrett-Jackson close to the $94 million mark in total funds raised for non-profits to date. A highlight was a ’96 Ford Mustang (Lot #3001) built by students at the Jordan Vocational High School in Georgia. Entrepreneur and collector car magnate John Staluppi and his wife Jeanette purchased it for $50,000. “In an ultimate show of generosity, John and Jeanette announced they would re-auction the Mustang at our Northeast Auction to spur additional donations for the Jordan students,” said Jackson. “We’re grateful for their kindness and that of our other bidders who purchased charity vehicles." Staluppi, according to his online biography, “is a walking, talking embodiment of the American dream. Starting out as a gas station mechanic in Brooklyn, Staluppi built a billion-dollar business of car dealerships before turning his hand to creating some of the most iconic superyachts ever built.” He also established a vintage automobile museum, Cars of Dreams, which Team Red Jacket toured in North Palm Beach. Fla. The bidding for Team Red Jacket’s car started at $10,000 and quickly quintupled, zooming past the auction’s $9,000 record for a student-restored car, Harris said he was told. As the bids flowed, so did the tears. “We all cried,” Breanna said. John Staluppi's Cars of Dreams Museum Charity Event for Hospice March 2017 from thrillmonkey on Vimeo. Cars of Dreams Museum from thrillmonkey on Vimeo. Carolyn and Craig Jackson with John and Jeanette Staluppi. Palm Beach Boat Show 2016 from thrillmonkey on Vimeo. FlashbackFriday raised an estimated $75,000 which will benefit the Homeless Coalition’sCreating Housing Opportunities Program. It was a blast from the past! Based on the new Sunrise 68m by A. Vallicelli & Co, Project Skyfall was designed for one of the world's most experience yachtsmen, renowned for his spirit of innovation. The aggressive sleekness of the yacht's lines reflects its ambitious performance targets: a fast displacement steel-hull, Project Skyfall will have a shallow draft of less than 3 metres, a top speed of 25 knots and a transatlantic range. 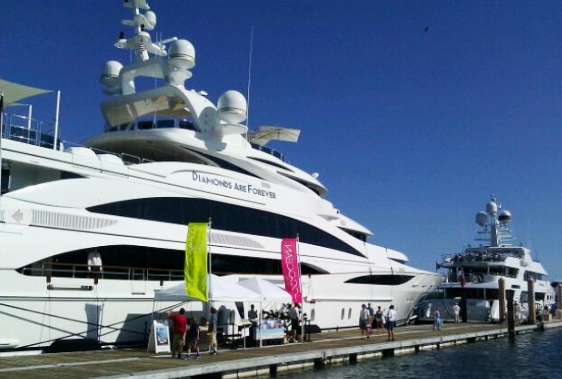 The yacht will also be a showcase of innovative technologies, never utilized on a yacht before, including VOITH linear jets propulsion and MME microturbines power generation. The bidding was fierce, taking barely 3 minutes to complete. We all know from the Disney Love Bug movies that Herbie can drive himself, and did he ever this past Saturday. Herbie drove himself right into the record books selling for an eye popping $115,000 to well-known millionaire car dealer and collector John Staluppi. Several vehicles were sold to benefit non-profit organizations, with 100 percent of the nearly $1 million dollars raised going to support veterans, children and other deserving charities. On Saturday, WWE Hall of Fame member Hulk Hogan took center stage and, in true “Hulkamania” fashion, ripped the shirt off his back to help Barrett-Jackson raise much-needed funds for U.S. veterans, children, cancer patients and others across the country. A few generous, philanthropic car dealers combined to raise $400,000 for the Achilles Freedom Team. David Flynn purchased the 2015 Chevrolet Camaro COPO Race Car VIN #001 for $300,000 followed by an additional $100,000 pledge from Jeanette and John Staluppi. St. Marks opens new Staluppi center which provides much needed facilities for church, school and community. Barrett-Jackson has raised literally tens of millions of dollars for charity and there's probably never been a woman who's done as much for automobile racing then the legendary Linda Vaughn, a/k/a Hurst Miss Golden Shifter. So when the two of them team up, it's magic, especially when a noted philanthropist and car collector like Palm Beach resident John Staluppi is involved and so is noted Oldsmobile restoration house Thornton Motors Inc. Friday at the 12th annual Barrett-Jackson Palm Beach Collector Car Auction, a 1969 Oldsmobile 442 convertible Hurst Shifter car replica built by Thornton Motors sold for $200,000, every penny of which will go to Darrell Gwynn Foundation. The 1969 Oldsmobile 442 Convertible Hurst Shifter Replica made famous by Linda Vaughn sold for $200,000 at Barrett-Jackson Palm Beach on Friday, April 11. The car was purchased by longtime foundation supporter John Staluppi. Proceeds from the auction of the car benefit the Darrell Gwynn Foundation. The Darrell Gwynn Foundation’s mission is to SUPPORT people with paralysis and PREVENT spinal cord injuries. Faith was rewarded: Having raised $7.7 million for construction, the 1,300-member Palm Beach Gardens church broke ground on the Staluppi Center, the crown jewel of its construction campaign. The 26,450-square-foot center comes complete with theater stage, kitchen, band room, choral room, art classroom with kiln, middle school science lab and computers, coffee shop and bookstore. 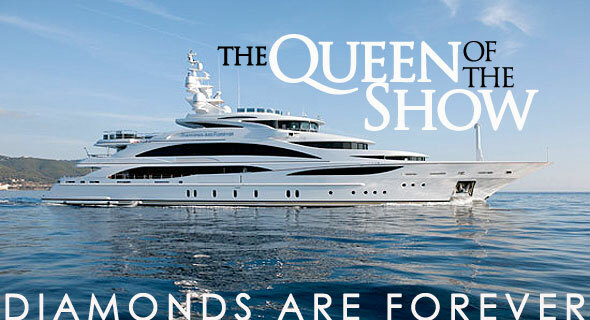 Mediterraneanboat.com - Diamonds Are Forever. Discovery.com - John Staluppi's Cars of Dreams Go Up for Auction - Watch Live! 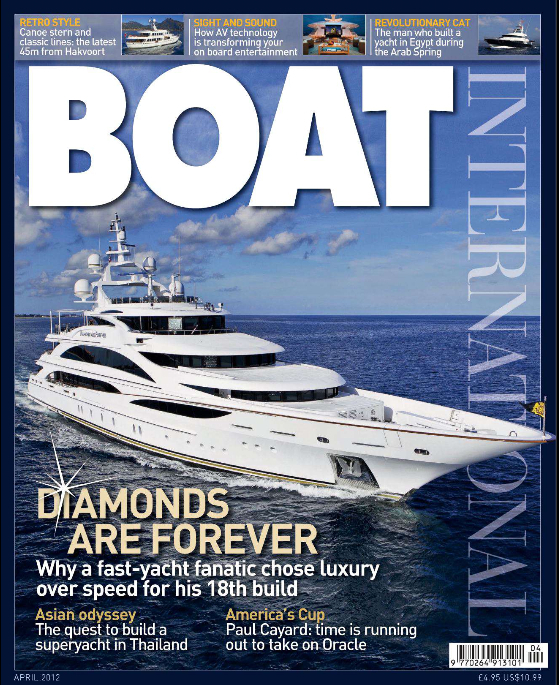 10/29/2012 - Superyachtnews.com -The largest yacht to be reduced this week was the 61m Diamonds are Forever. 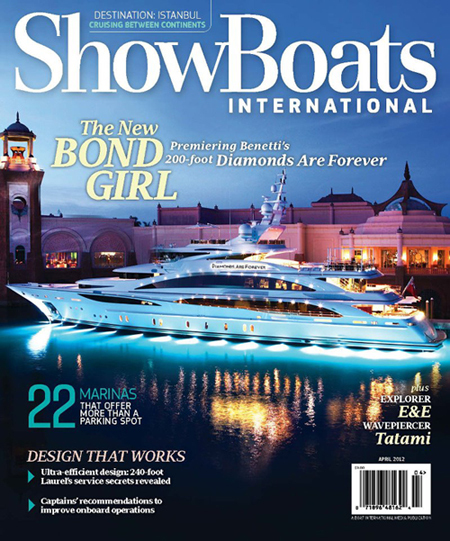 (Excerpt from April 2012 - Boat International.com) Literally and metaphorically, John Staluppi has spent much of his life with his head in an engine. As a 16 year old mechanic he fell in love with the muscular engines of classic 1950s cars, whose voluptuous forms convey speed, even when standing still. Later his mechanical passion was the basis on which he built an empire of auto dealerships, and of his sideline in super yachts, which he commissions, uses, charters and sells. His success has afforded him the luxury of a private museum, Cars of Dreams in North Palm Beach, Florida, filled with angular sedans and undulating soft tops. But a visitor is still most likely to find him out the back, tinkering with a carburetor. 3/26/2012 - YouTube.com - "Highlights Palm Beach Boat Show"
(Excerpt) Our charter experts had the priceless opportunity of touring Owner John Staluppi's newest Bond-themed megayacht, DIAMONDS ARE FOREVER. This Benetti 60-meter masterpiece is a dazzling tribute to the superb naval architecture and engineering synonymous with the brand, and the artistic genius of designer Evan Marshall . . .